NFWI Centenary Annual Meeting | Crowlas & Ludgvan W.I. ← The Jam Pots are Coming! Today was the big day! 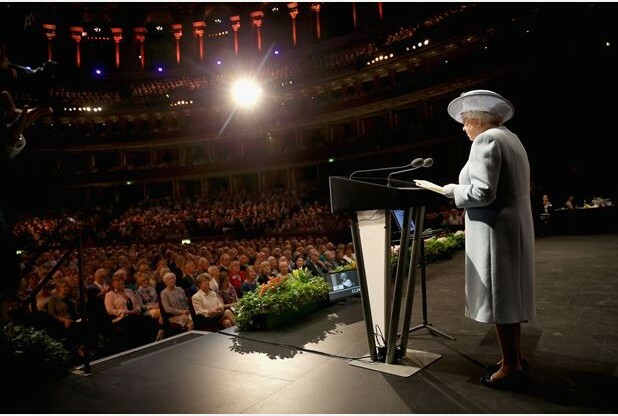 The 2015 Centenary Annual Meeting at the Royal Albert Hall. 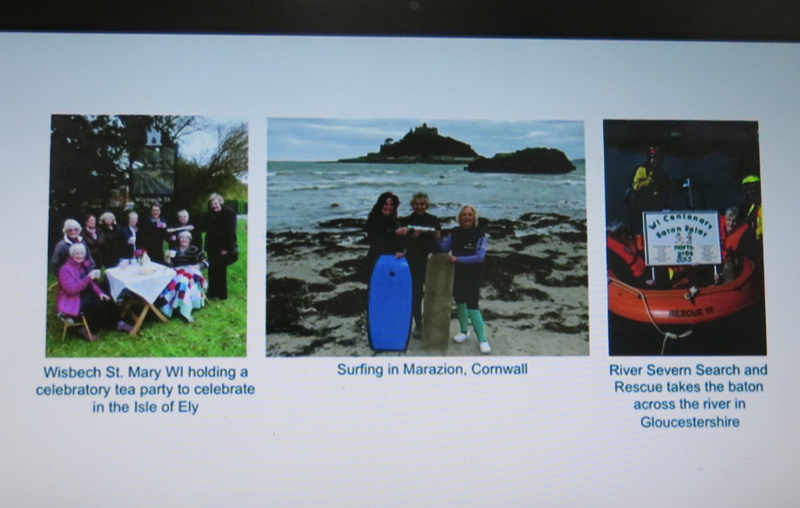 Although nobody from Crowlas & Ludgvan WI was able to go, we did send our resolution vote (more on that below!) with our delegate from Porthleven WI and for the first time we were also given the rare opportunity to watch the meeting live online. The Queen, Princess Anne and the Countess of Wessex were all there, and the Queen addressed the meeting after receiving the Baton. 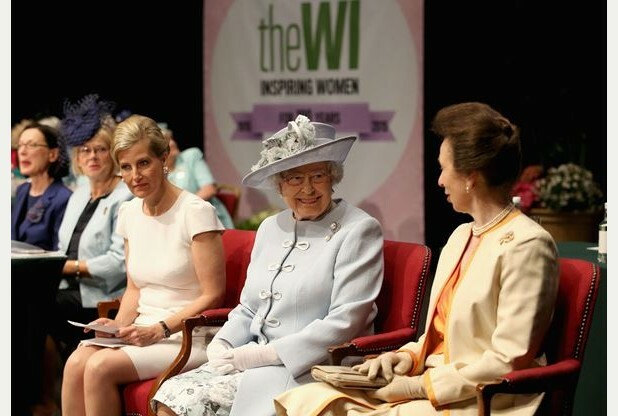 During her speech, the Queen said, “In 2015, the Women’s Institute continues to demonstrate it can make a real difference to the lives of women of all ages and backgrounds”. You can say that again! After her speech, Her Majesty pressed the button to begin a slide show highlighting some of the Centenary Baton’s journey around the country. And what a surprise it was to see our own Jane, Niamh and Pat up there on the big screen for all to see! The important bit was the resolution, and that’s when things got rather heated! After a lot of discussion, both about the resolution and its proposed amendment, one member proposed that the meeting move to the next item of business. That meant that the would be no vote at all on the resolution. The proposal was seconded, and by a majority of more than three-quarters, the meeting voted to move on. In effect, the resolution was thrown out! Here’s a photo I loved, posted by another WI on Twitter, of lunchtime at the Albert Memorial, then and now. Things don’t change much, do they?! There have been a flurry of newspaper articles about the WI over the past day or two. Here’s a quick rundown of some we found, in case you missed them. The Guardian, The Telegraph, another from The Guardian, another from The Telegraph, Hello magazine, and some television coverage from the BBC and ITV. If you missed the live feed but would like to see it, you can still catch the whole thing on YouTube (see below), including a lovely rendition of ‘Jerusalem’. This entry was posted in Uncategorized and tagged centenary, London, NFWI. Bookmark the permalink. No, the Queen and co had left by this time. They might have been interested, though! It was a fascinating lesson in WI politics (small p). You’re right – it did happen relatively recently as well; I believe it might have been the year we voted (or didn’t vote) on factory farming? Does that sound right? If you want to see the resolution portion of the meeting, just click on the YouTube link at the bottom of the above blog entry!